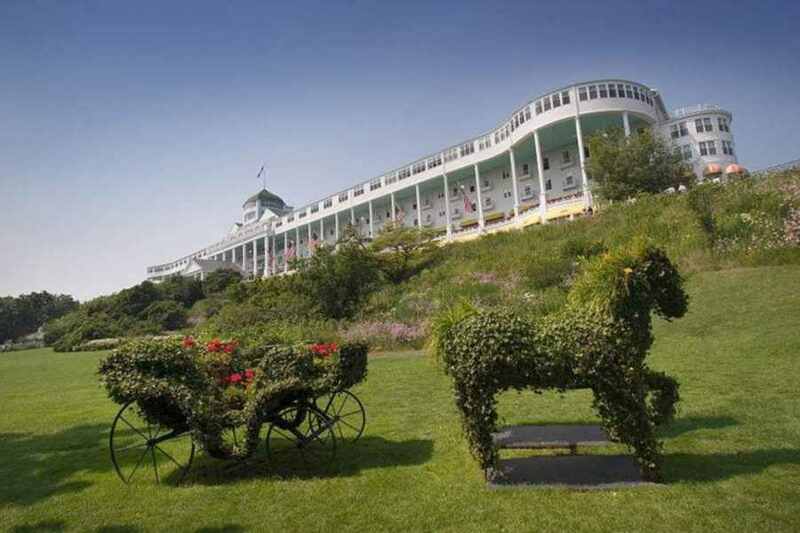 Mackinac Policy Conference At The Grand Hotel: Protect Your Wallet! Is that a donkey in front of the Grand Hotel? 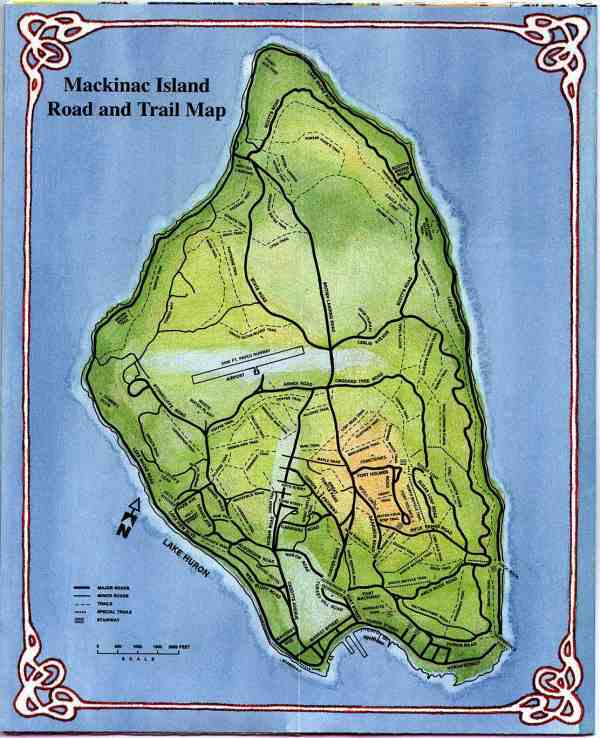 Later today Michigan’s Self Very Important Persons start checking in at the Detroit Regional Chamber’s 2015 Mackinac Policy Conference held on Mackinac Island. At $ 2,150 per person for Chamber members and $ 2,925 for Chamber wannabees, average Michiganders will not be much in evidence. The attendees list reads like the last itemized contribution report for SafeRoadsYes!, along with the clueless Michigan politicians who endorsed Proposal 1. The Detroit Regional Chamber’s “Vision and Pillars” for the 2015 Conference is innocuous enough, but the Conference’s agenda is far less oblique. A host of left luminaries and crony capitalists orbiting Michigan government will be plotting higher taxes, bigger spending, and more vexatious regulations. When they are not drinking. The official agenda is all about Detroit, Michigan schools, alternative business subsidies, and the roads, but there is also the transformation of Detroit Water & Sewerage Department into the Great Lakes Water Authority lurking in the background. Roads are the most interesting part of the official 2015 Conference agenda, given the near universal support for Proposal 1 amongst the attendees. Despite touting ‘vision’, expect the Conference to endorse new taxes over improved efficiencies and better engineering. Southeastern Michigan politicians are just beginning to realize the true dimensions of the fraud they swallowed in their haste to get Detroit out of bankruptcy. Promised a 4% cap on annual water rate increases imposed on their constituents, they are now staring at a 14% rate increase which inspires no small amount of trepidation after Proposal 1 got slaughtered. DW&SD has been less than candid with the politicians and provided no information whatsoever to the public on their finances. They are hiding behind a U.S. Bankruptcy Court gag order and denying all Freedom of Information Act requests. There will be three county executives and a bunch of junior politicians at the 2015 Mackinac Conference who will be sweating blood with the impending 14 June deadline for the GLWA transformation. Soothing platitudes from our Governor will likely be less well received at this year’s conference than they were at last year,s conference. May 5th changed the political landscape in Michigan. Most of Michigan’s news outlets will be sending correspondents to the Mackinac Conference, but their collective performance on Proposal 1 does not inspire much confidence. Detroit Public Television will webcast and broadcast most of the sessions, except those dedicated to Bacchus, so you can treat your insomnia if you are so disposed. Of particular note is the session Friday morning at 09:00 AM covering roads and bridges funding. The only panelist likely to speak up for Michigan taxpayers is Joseph Lehman, President of the Mackinac Center for Public Policy. It will be fun to see whether he gets rolled by the tax and spend crowd.. I've got no issue with putting blame where blame is due, but regarding the GLWA, I'm willing to cut (local leaders, anyway) some slack on this one. Remember, our illustrious governor deemed that Tri-County Taxpayers were going to be paying for this shakedown whether we wanted to or not ("An offer that we cannot refuse"). I still a little fuzzy on where a governor (or even a judge) has the authority to forcibly compel a free citizen to pay for something in which they want absolutely nothing to do with? One last thing: Not all of the movers and shakers will be vacationing on the taxpayers dime. Brooksie is reportedly taking this year off. Did the DRC institute a cash bar for 2015?